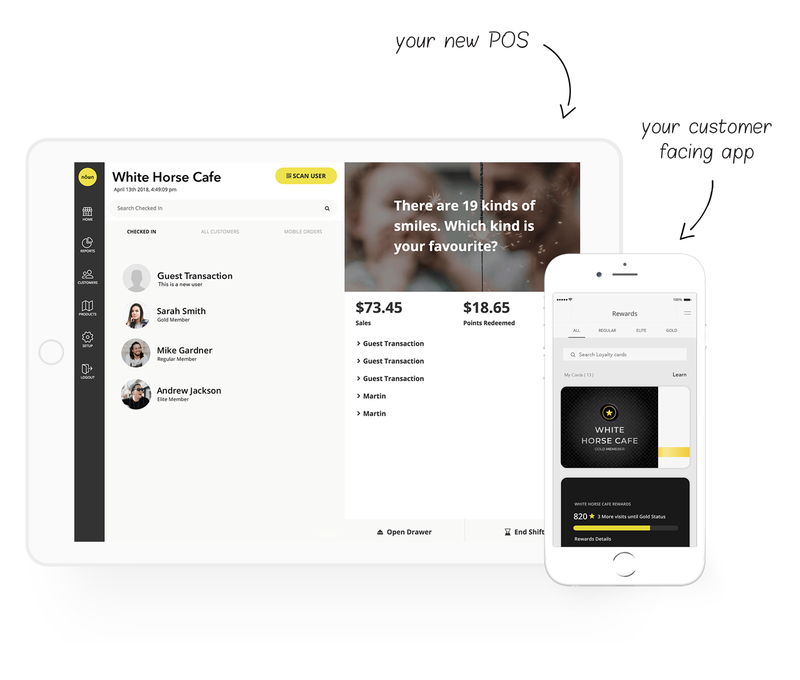 Nōwn is a complete POS, loyalty and mobile customer experience, integrated seamlessly. You are paying too much for a stand-alone POS, a 3rd party mobile order system and a customer loyalty program. You are wasting valuable time trying to make them all work together. That time is better spent serving your customers. Nōwn gives you ONE solution by ONE provider at ONE price for your brand. Two years ago he walked into her shop. She made the drink he ordered and she smiled at him. The next week he was back and she remembered his name and his order. Now, they make their coffee together. + - I don’t like my questions left unanswered. Can I contact a human being for support? We offer support on multiple channels. You can email to us at support@nownpos.com, or call us at 1-877-979-NOWN. Also, you can always refer to our support guide for answers. + - I’m comfortable using an iPad. What devices does Nōwn work with? We recognize that majority of businesses are now opting iPad as their primary POS device. Nown is compatible with iPad 2016 model or later (10.5” recommended). + - I’m concerned about privacy and security. Is my data safe with Nōwn? Nōwn is PCI compliant and powered by the payment processing technology of Global Payments – a global, trusted leader in financial technology solutions. + - I’m not the biggest tech person. Will my employees and I have a hard time understanding Nōwn? Not at all! Whether it’s the initial setup or processing a transaction, it only takes a few clicks. Need help? Our support guide and support team have your back. + - My business is not established in Canada. Can I use Nōwn? + - I don’t want to spend a lot of money on a POS system. How much does Nōwn cost? Nōwn exists to help your business thrive, so we understand that you want a cost-effective POS solution. We’ve set a simple, no-tiered pricing starting at just $75 per month.